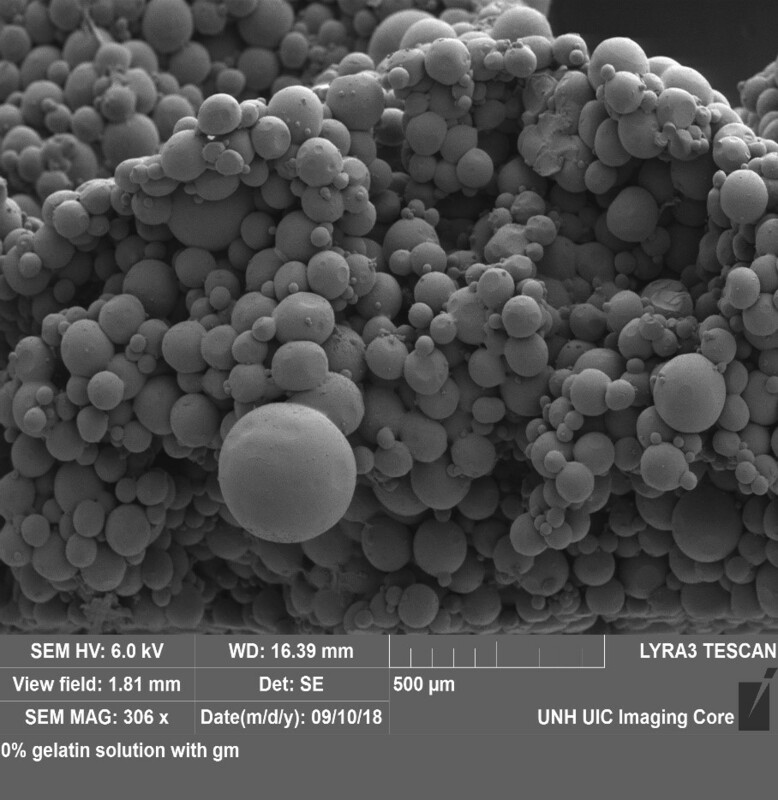 DURHAM, N.H. – Researchers at the University of New Hampshire have created an easy-to-make, low-cost injectable hydrogel that could help wounds heal faster, especially for patients with compromised health issues. 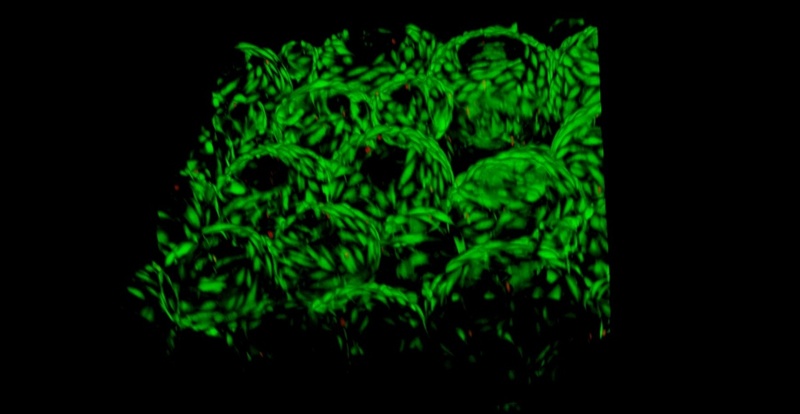 This is a 3D confocal microscope image of human skin cells growing around and within the porous hydrogel. 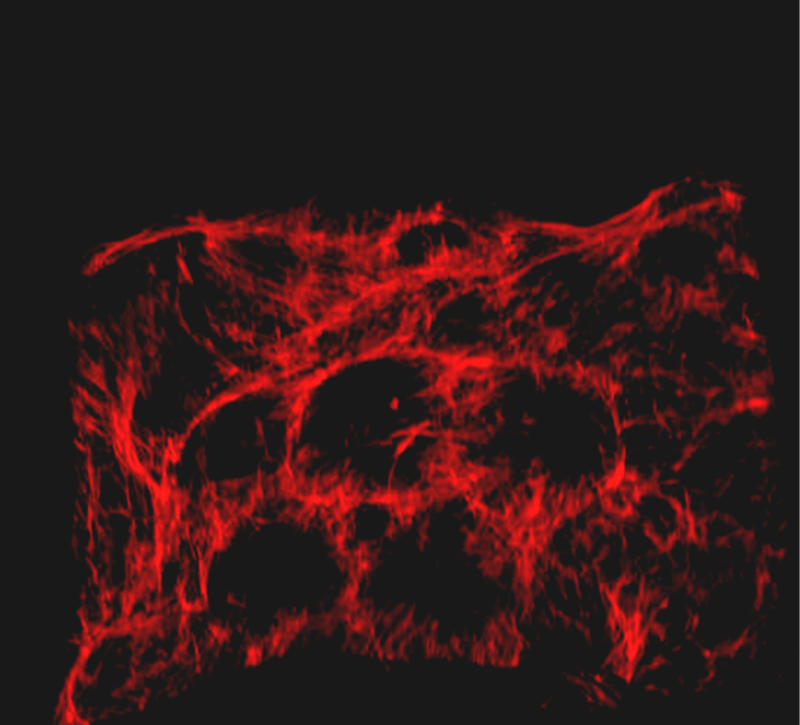 Second image of 3D confocal image of human skin cells growing around and within the porous hydrogel with different staining. Electron microscope image of the porous hydrogel.